If you have a business in Brampton and you are looking to reserve an airport limo ride to the Pearson Airport, Toronto Airport Limousines will be able to help you achieve all that you are looking to get. That is a comfortable ride in a nice airport limo taxi service that is fully capable of offering a Brampton airport car service. Also providing you with airport transportation services, where you can get yourself picked up from the airport and dropped off anywhere within the GTA. You can also get the same full service for your clients that will be flying into the Toronto airport for business and you are looking to arrange for a limo service to pick up and drop off at the office or their hotel. Whether you are interested in getting picked up with a Lincoln Town Car or a Lincoln Stretch limousine, you will be sure that you will get the necessary vehicle that you need from Toronto Airport Limousines. A Lincoln Town Car, which is great for passengers 3 – 5 people is great to get you to where you need to be. If you are looking for something bigger and you need to reserve something like a Lincoln stretch limousine, you can get either a black or white stretch limousine for your limo rental needs. 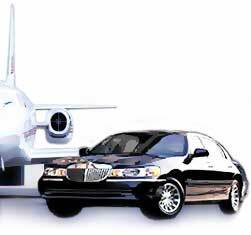 These 2 limo fleet vehicles are great for airport shuttle services in Brampton, airport car services in Toronto and airport transportation services throughout the GTA and Toronto. A third option of reserving a limo fleet in Brampton from Toronto Airport Limousines is by offering you with an SUV Chevrolet Suburban limo for your clients, your distinguished guests and anyone that is coming to the Pearson airport for the first time and needs a ride to get to your office or to get to the airport with a pick up and drop off service with an airport limo taxi service. If you are interested to reserve a Chevrolet Suburban, then you should look to Toronto Airport Limousines to be able to offer you the right type of airport limo taxi and airport shuttle service in the GTA. Toronto Airport Limousines provides you with airport car service,in Brampton for a pick up and drop off service to and from the Pearson Airport. If you are interested in reserving a limo for your client, you will find the finest limo taxi service with airport shuttle services and airport car services in Brampton.